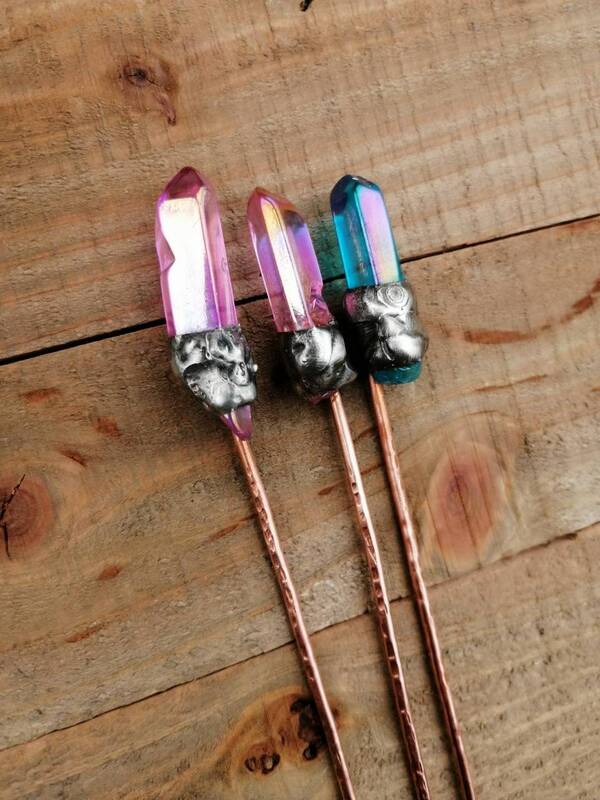 These hair sticks were made using titanium Aura Quartz, hammered copper wire and soldering Tiffany's style. The Solder used is lead free and contains silver, i also oxidized the silver solder and polished. 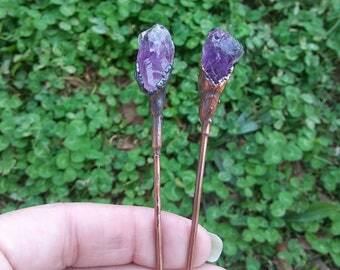 If you would like more hair sticks please message me for a custom order. 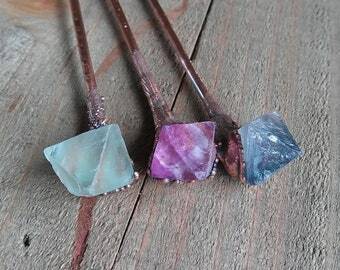 These hair sticks are unique and you wont find similar ones online. They make great gifts!